Sergeant Trevor Andrews was a member of the SBS personnel who were on the submarine HMS Affray to carry out further training in exiting submarines etc. The submarine sank with all hands in Hurd Deep off Alderney in 1951. 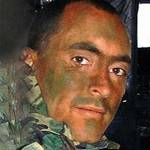 Marine Stuart Ashfield died  whilst deployed to Norway on a training exercise . He was driving a Land Rover when it was involved in a collision with a coach . 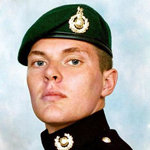 Stuart left Tarring High School at the age of 16 to become a Royal Marines cadet. He was one of the outstanding members of 8th Worthing Sea Scouts and was also a member of Worthing Swimming Club . 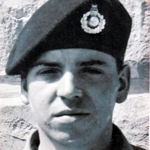 Corporal Donald Barrett died during operations in Cyprus. He was crushed when a DUKW hit a house and brought a wall down Cyprus. Lieut. Colonel Richard Bavin OBE was killed whilst on board a US Marine Corps transport plane that crashed into Mount Tobin, Nevada during a snowstorm. 18 US servicemen also died in the crash. He was serving as the UK Royal Marines representative at the Quantico Education and Development Centre. 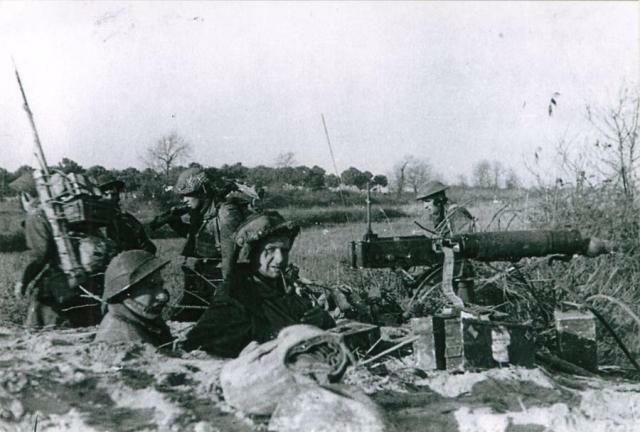 He had previously served in 42RM Commando during WW2 *, and was a member of the Commando Association. On the 8th June 1963 the then Major Bavin had been appointed OBE. 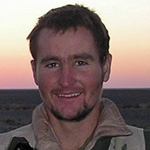 Corporal Samuel Bell was serving with HQ Commando Forces at the time of his death. Corporal Neil Blain, S.B.S., died in the USA in a H.A.L.O. parachuting accident. 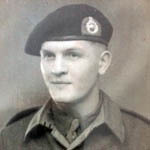 Corporal James Browning, HQ 3 Commando Bde. RM, was reported missing presumed drowned, after the cessation of hostilities on the Falklands, when caught in a sudden squall whilst in a dinghy off Port Stanley. He had previously served in 45 Commando workshops. 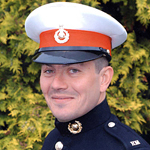 Marine John Bryant died in a road traffic accident. Lance Corporal Gordon Campbell died during training at the Pontrilas Army Training Area near Hereford involving fast roping from a helicopter. During his nine years in the Corps he had served in Kosovo, Northern Ireland, Iraq and Afghanistan. Corporal Reginald Chappell was killed during operations in Sarawak, Borneo. Lieutenant Ian Clark died during a cross border operation to Sajingan Besar * in Indonesia. He received a posthumous MiD for distinguished services in support of operations. The operation, codenamed Lively Cricket, was against Indonesian forces who had been mortaring the 42 Commando base at Kampung Biawak, in Sarawak, Malaysia. 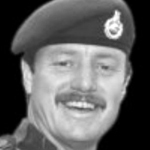 Major John Cooper, attached to HQ Northern Ireland, was killed in a road traffic collision. Sergeant Andrew Evans was killed  when his helicopter was shot down during the Falkands War. He received a posthumous Mention in Despatches in recognition of his service during operations in the South Atlantic . 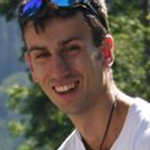 Warrant Officer Kieran Farragher, attached to the Special Air Service, died in a climbing accident in Botswana. He had joined the SAS in 1973 having previously served in 95 Commando and 29 Commando Regt RA. Marine Michael Fowler died during Operation Musketeer, the Anglo-French Invasion of Port Said, Egypt. Lieutenant Kenneth Francis, BA, RM, was killed when his helicopter was shot down in the Falklands. Marine Ronald Fudge, from Bristol, died during Operation Musketeer, the Anglo-French Invasion of Port Said, Egypt. Corporal John Genge died of natural causes at British Military Hospital Kamukting. Buried at Batu Gajah; later exhumed, Cremated at Sek Keng Cheng Crematorium, Kuala Lumpur and ashes returned to the UK. 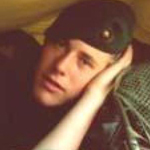 Lance Corporal Brett Giffin was killed when his helicopter was shot down in the Falklands. Marine Cyril Goodfellow, from Birmingham, died during Operation Musketeer, the Anglo-French Invasion of Port Said, Egypt. 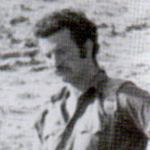 Marine Robert Griffin was killed during operations in the Falklands. He was attached to Task Force Landing Craft Squadron RM. 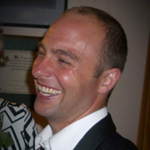 Marine Sholto Hedenskog, UK Landing Force Command Support Group, died in a helicopter crash. Account of Mne. Sherratt, HQ troop, in the book By Sea and Land, author Robin Neillands. 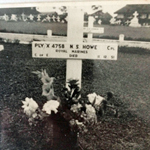 Corporal Joseph Hind died  when ambushed in the area of Padawan and Bau, Sarawak, Borneo . He received a posthumous Mention in Despatches . Also died in this action - Marine Edward McCrea. Adrian Hughes, nephew of Mne. McCrea. 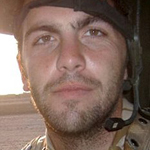 Marine Richard Hollington, Bravo Company, died of wounds from an explosion that occurred on the 12th June 2010 whilst he was conducting a reassurance patrol in Afghanistan for the local nationals in an area to the south of Patrol Base Ezeray. He had been immediately evacuated to Bastion Role 3 Hospital where his condition was listed as critical. On 13 June 2010 he was transferred to the new Queen Elizabeth Hospital Birmingham. 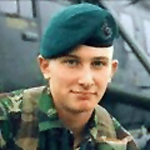 At 1108hrs BST on 20 June 2010, with his parents and brothers present, Marine Hollington sadly died of his wounds. Marine Kevin Holton died in service, cause of death not known to this archive. Marine Alfred Hooper was a member of the SBS personnel who were on the submarine HMS Affray to carry out further training in exiting submarines etc. The submarine sank with all hands in Hurd Deep off Alderney in 1951. Marine David Howard, from King's Lynn, was killed during Operation Musketeer, the Anglo-French Invasion of Port Said, Egypt. Sergeant Richard Howard was serving with the S.B.S. at the time of his death. Corporal Norman Howe died  in the British Military Hospital, Singapore [2+3]. He was originally buried at Pasir Penang Cemetery, Singapore. This cemetery was closed in 1974/5 and the next of kin were given various choices at that time. Cpl. Howe's remains were repatriated to England. His name appears on a Memorial Plaque in the Church of Resurrection in Kuala Kangsar in Malaysia . Marine Dennis Jarvis was a member of the S.B.S. personnel who were on the submarine HMS Affray to carry out further training in exiting submarines etc. The submarine sank with all hands in Hurd Deep off Alderney in 1951. 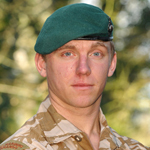 Lieutenant Gareth Jenkins, a Royal Marine officer under training, died of natural causes during his Commando training at the Commando Training Centre, RM. 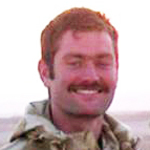 Captain Tomasz Jennings died during operations in Afghanistan. 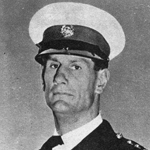 Acting Colour Sergeant Brian Johnston was killed during operations in the Falklands. 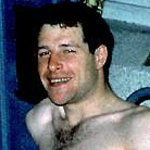 Captain Huw Jones died during diving training near Dundee. Marine David Keyes was killed during operations in Malaya when ambushed in a jeep along the Tapah-Chenderiang Road in Perak. 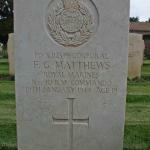 Marine Ernest Lamb died of wounds received during operations in Malaya. He was cremated at Sek Keng Cheng Crematorium, Kuala Lumpur and his ashes returned to the UK. Sergeant Paul Laycock died in service, cause not known to this archive. 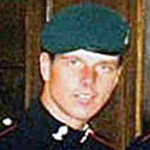 Corporal Mark Lazenby, attached to HQ Northern Ireland, was killed in a road traffic collision. Corporal Michael Love, Royal Marines, 846 Naval Air Squadron, was killed in a helicopter crash due to a bird strike in the Falklands. 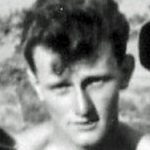 Marine Edward McCrea died when ambushed in the area of Padawan and Bau, Sarawak, Borneo. Also died in this action - Corporal Joseph Hind. Corporal Benjamin Nowak was killed along with others in an attack on a Multi-National Forces boat patrol on the Shatt Al-Arab waterway. Sergeant Samuel Orr died in Malaya. His death is listed by the Malaya Historical Group as accidental. 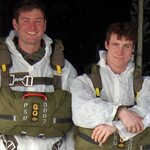 Sgt Andrew Pearson died whilst taking part in a night exercise in the Solent. A verdict of accidental death was recorded at the inquest in Portsmouth. Mne. 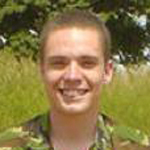 Benjamin Poole, from Jersey, collapsed and died from cardiac arrest at the end of an 18 mile mountain yomp training exercise. 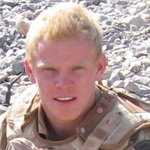 He was on a special forces selection course and was less than half a mile from the final checkpoint in the Brecon Beacons, and only three days from finishing the four-week selection programme. 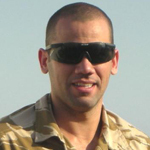 Trooper Adrian Powell died in a road traffic collision whilst serving with the SAS. He had previously served with 7 and 148 Btys. of 29 Commando Regt. RA, and 7 RHA. He died when the vehicle in which he was travelling overturned while on way to training exercises near Nairobi in Kenya. Also killed in this collision was 24648153 SSgt. 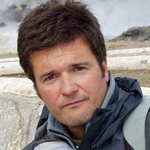 Martin Halls, SAS, formerly Royal Engineers. Marine Fred Powell, Lima Company, was killed during an action which resulted in the rescue of hostages taken and held at Limbang, Sarwak. Lance Bombardier William Priddy died in a road traffic collision when his land rover overturned on the A346 near Marlborough. Marine William Reed, 'Z' Company, from Whitley Bay, died during Operation Pendulum South, part of the annual deployment to Norway. He and 2 others, Marines Stephen West and Philip Yates, were found unconscious in a tent whilst sheltering from a whiteout during an exercise. They were casevaced to a hospital at Gjorvik by a 3 Commando Bde. Lynx helicopter where Mne. West was revived, but Marine Reed and Marine Philip Yates were found to be dead on arrival through asphyxiation caused by the men's cooker. Marine Gareth Rees was serving in Naval Party 8901 on the Falkland Islands at the time of his death. The AFM ROH lists his Naval Party as 8401, however the two NP's on the Falklands were 8901 and 8902. Lieutenant Graham Rolls died in service in Sarawak. Precise details are unknown to this archive. There is a photo of a plaque in our gallery for those who died in Borneo/Sarawak wnere Lt. Rolls is named. Marine Harry Rose died in Ipoh General Hospital as a result of an accidental gunshot wound. He was originally buried at Batu Gajah Cemetery but was later exhumed and cremated at Sek Keng Cheng Crematorium, Kuala Lumpur and his ashes returned to the UK. Sergeant Ronald Rotheram  died during operations in the Falklands. He was attached to Task Force Landing Craft Squadron RM. He was on board Landing Craft Utility F4 from HMS Fearless during the Falklands Conflict in 1982. With the British Army’s 5 Brigade separated from their vital communications vehicles back at Goose Green, F4 under the command of C/Sgt Brian Johnston had been dispatched in poorly charted waters and under significant threat of air attack. 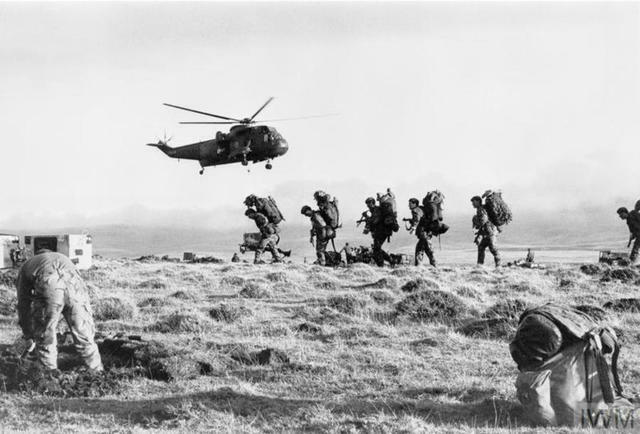 Marine Anthony Rundle died during operations in the Falklands. He was attached to Task Force Landing Craft Squadron RM. He was on board Landing Craft Utility F4 from HMS Fearless during the Falklands Conflict in 1982. With the British Army’s 5 Brigade separated from their vital communications vehicles back at Goose Green, F4 under the command of C/Sgt Brian Johnston had been dispatched in poorly charted waters and under significant threat of air attack. 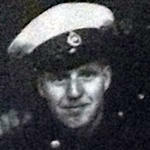 Marine Edward Shergold was a member of the S.B.S. personnel who were on the submarine HMS Affray to carry out further training in exiting submarines etc. The submarine sank with all hands in Hurd Deep off Alderney in 1951. Lieutenant Ian Smith died in service, cause unknown to this archive. Gunner Kevin Smith, 79 Bty., died in a fall from the wall of Mosta magazine in Malta. * 29 Cdo Veteran via CVA Facebook page. Marine Richard Stevens died whilst mountain training on Ben Nevis. Lieutenant James Turner drowned at Loch Long, Argyllshire, during a training exercise where he was to be landed from the submarine HMS Orpheus without the need for it to surface. Marine Leslie Turner, HQ 3 Commando Bde. RM, was killed during operations in the Gopeng-Kampar hills, Malaya. 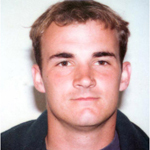 Also killed in the same incident was Marine Dennis Parry. [view]. 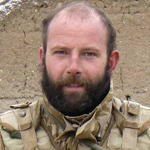 Sergeant Barry Weston was fatally injured by an improvised explosive device while leading a patrol operating near the village of Sukmanda in southern Nahr-e Saraj district Helmand province. The patrol was participating in an operation to draw insurgents away from the civilian population in order to disrupt their activity and further expand the influence of the Government of the Islamic Republic of Afghanistan. Marine Jonathan Wigley died as a result of injuries sustained while on an Afghan and UK Task Force force operation on the outskirts of the village of Garmsir, to dislodge Taliban forces who had been responsible for attacks on the town in recent days. 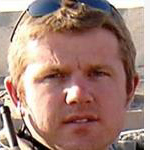 He was airlifted to a UK hospital in Camp Bastion, where he sadly later died from his wounds.